Berlin-based trance-pop group Das Flüff are gearing up for the release of their two latest singles, “One Cent Plus Postage” and “Shut the F*** Up,” on July 28th. Reminiscent of 1990s dark rock in atmosphere and the simultaneous experimental alternative movement in the roughness of their electro sounds, the trio’s deep, primal direction is wholly original. With direct lyrics that are untraditionally structured, frontwoman Dawn Lintern sings with her Madonna-esque voice in “One Cent Plus Postage” of how the group’s earlier album, Meditation and Violence, sold on eBay in the United States for only one cent. The slightly cheesy, sci-fi alien sounds collaborate with the video’s mood, and contribute to the creep factor. The video accompanying “Shut the F*** Up” is an equally unnerving portrayal of a reinterpreted Rocky Horror Picture Show; indeed, Lintern’s outfit makes her look the perfect Magenta. Full of anger over a conflict with a former bandmate, this single from Das Flüff finds a heady balance between emotion and electronica. 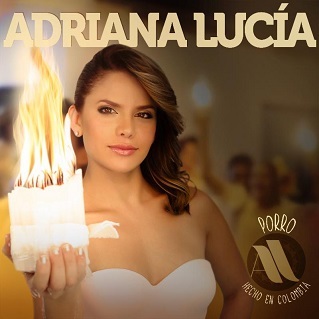 Colombian pop singer Adriana Lucía recently released her sixth full-length album, Porro Hecho en Colombia, in conjunction with spreading publicity for the album’s most anticipated single, “La Espelucá.” Lucia was born in balmy Cordoba, Colombia near the Sinu River where porro was first created as a style of Latin American folk music; these days, it is used as background music for ballroom dancers specifically in the Sinu and Cartagena regions of Colombia. Not having much knowledge about the Spanish language and its dialects myself, the translation of the album title presents an interesting conundrum: the term porro can refer to Colombian folk music, but it can also mean ‘jointly,’ or ‘in part.’ The former usage would, of course, describe the basis of the album’s rhythmic feel, but the latter would speak to the fact that Lucia has reinterpreted the traditional music of her home country and created an entirely new fusion of genres and techniques. “La Espeluca” is one track from Porro Hecho en Colombia that reflects a wider range of pop influences; the singer says it functions as “a satire for what often happens in love relationships” and tries to capture the confused joy of a budding romance. Lucia’s rapid singing reveals the natural rhythm of her mother tongue and makes the whimsy of the instrumentals more grounded and likeable. The inclusion of accordion speaks to roots in Balkan or gypsy folk music, but the overall atmosphere is of island sounds. Lucia’s latest single, and her whole album no doubt, are fast, fun, and unique in expression. One of Denmark’s most up-and-coming metal groups, Myrkur, will release a self-titled EP in September that speaks to the cold barrenness typically associated with chilly Scandinavia. Termed “black metal” by label Relapse Records, the atmosphere isn’t overtly heavy in any regard; it might be called easy, or light, metal. The album’s first single, “Nattens Barn,” starts out angelic with a choir of sopranos but soon transitions into successive levels of gritty guitar sounds in which each progression is more complex than the last; these are well-thought-out, if a little lacking in transitions. 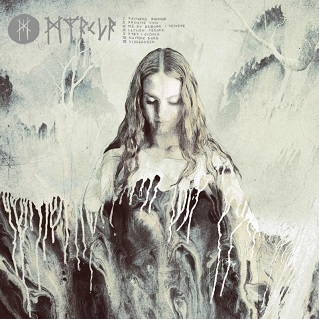 The general instrumentation is simple and threatens to bore listeners but Myrkur intensifies the sound as soon as the static threatens to become monotonous. Clearly layered rhythms and tones give the piece contrast and intrigue, and a similar juxtaposition between the early vocals and later dark tunes make the absence of lyrics insignificant. Myrkur’s unnamed front-woman has created “a feminine yet definitively brutal record” that fans of groups like Clandestine will enjoy as a break from the slightly oppressive norms of heavy metal. J-pop star Kyary Pamyu Pamyu recently released her third full-length album, Pika Pika Fantajin, following the release of single, “Ring a Bell,” her first song performed and produced completely in English rather than her native language, Japanese. The single is impressive in light of the fact that Kyary isn’t very adept at English but is still very hard to stomach. It lacks any solid instrumentation; the twinkly electronica she churns out is nothing more than insubstantial fluff, as she begs listeners to accompany her “to the music studio.” Vogue compares Kyary to Lady Gaga, but in reality, this track presents none of Gaga’s meaningful lyrics and tangible sounds. Kyary’s fashion sense and creativity in graphic design, however, are other matters completely. She’s become quite the international trendsetter with her brightly colored, wildly patterned, endearingly mismatched and disproportionate outfits and costumes. Kyary, whom Caroline Charonplop Kyarypamyupamyu refers to as her “character,” fits perfectly into the whimsical design industry of the 21st century internet age; her music, however, fits nowhere. Rising young DJ Abu Ashley recently released his debut EP, Asmaa, to high praise and exclaim. The second single released from the album, “Nado Heights,” represents Ashley’s interesting take on electronic sounds; he slows down the typical quick beats and gives the atmosphere greater depth and meaning than any before him. 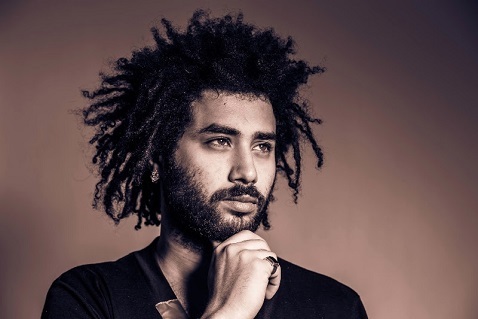 He ties in his own Middle Eastern roots by incorporating a variety of string instruments, although “Nado Heights” holds very few Middle Eastern elements in comparison to the rest of the EP. The electronic beats and ethereal undertones function as background music for the foreground story told by keyboard and string tunes; the orchestral elements give the otherwise cold, distant computer sounds warmth, emotion, and romanticism. This style isn’t music that would play well on a dance floor, rather it would fit perfectly into a movie scene where two strangers magically connect under the disco ball, wondrously and innocently enthralled by each other for a few eternal moments. The deftly subtle layers and overall relaxed tone make Abu Ashley’s debut a fresh take on possibilities of electronica. Canadian duo Vogue Dots recently unveiled a new music video for single “Skinny Thing” off their debut EP, Toska, which was released in May. The video, an aimless montage of images with a few more abstract elements occasionally thrown in, is a perfect fit for the song’s wandering melodies and asymmetrically layered vocals. Label Indica Records characterizes Vogue Dots as being on “the ambient side of electronic music,” but there are several elements that lend their sound a more natural realism and deserve to be termed indie pop: lead singer Babette Hayward turned down this new path already having signed with Indica as a solo singer-songwriter, and her raw vocals ground the otherwise dreamy style. Despite the absence of orchestral or instrumental elements, the general ambivalent and enticing melody gives the track a natural feel. The shimmery synth track lends a hip 80s-pop feel to the single and brings together the sounds to create an all-encompassing listening experience. This entry was posted in Albums, Archive, Recently Added, Reviewed. Bookmark the permalink.